This book examines how fascist views permeate modern philosophy, art, movies, and eugenics decades after the defeat of the Axis powers in World War II. 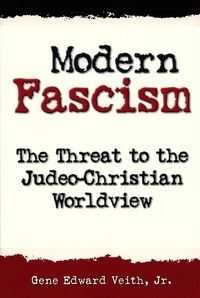 Dealing with a variety of fascist thought, this book offers a penetrating analysis of the prevalence of fascism among the so called “elite” in Western society. It also demonstrates that those who supposedly advocate “academic freedom” are among its most forceful suppressors. From the intellectuals to the skinheads, Veith shows how the fascist’s focus on self and human will is in direct opposition to the Christian’s faith in a righteous God and encourages Christians to stand up for the free exchange of ideas in our own day.